There are boxes, bags and piles of things EVERYWHERE. I have been culling through the house, cleaning and de-cluttering for a month. Now I’ve started on the garage so I can move everything outside. 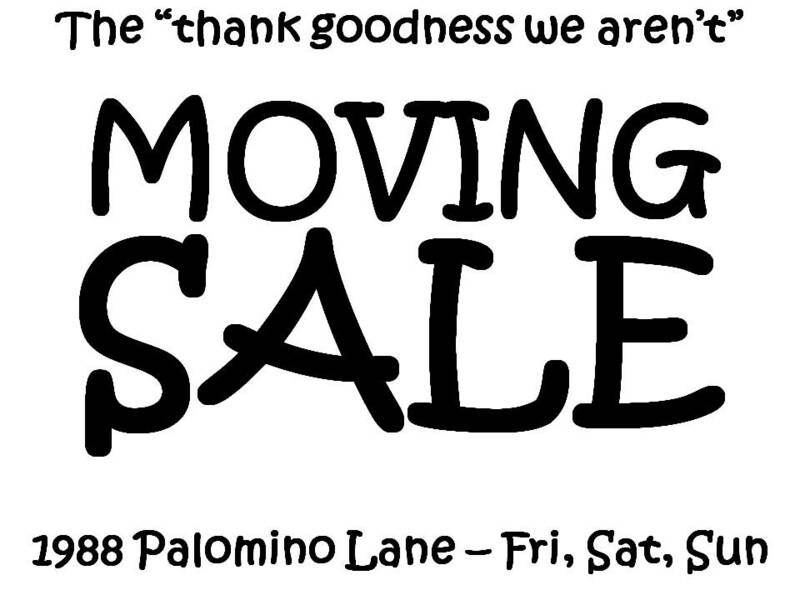 In the meantime, I advertised the yard sale for Friday. THIS Friday. What was I thinking? There is no way I can get everything ready. I don’t think I’m even going to have time to finish going through the garage. I think I’m hyperventilating. Stop it! Deep breath in. Deep breath out. In. Out. In. Out. I’m a project manager for goodness sakes. I just have to plan my work and work my plan. I need to focus on one day at a time. Today, finish clearing out space in the garage and cart everything outside. Tomorrow, start sorting it and putting it out in categories. Thursday I can polish, shine and display to advantage. Friday, Saturday and Sunday the people will come and take it all away and leave me with (hopefully) a few dollars for my trouble. Monday, the rest gets picked up by a charity that my neighbor shared with me and I’m finished. Karen, when I have a yard sale, I don’t mark anything except big ticket items. People will likely offer you more than you would have asked. It takes a lot of time to mark each little individual item. Have fun! Then you can take your money, buy a plane ticket to Atlanta, and do this at my house… Right?